Mattison is using Smore newsletters to spread the word online. Kathleen Genevieve "Katie" Ledecky was born on March 17,1997 in Bethesda,Maryland by the parents David and Mary Glen Ledecky. Katie then began swimming competitively at the age of six at the Palisades Swim & Tennis Club. She swam with the coach Yuri Suguiyama at the Nation's Capital Swim Club. Her coach, Yuri, helped her develop a technique that would help her win many gold medals in the Olympics. She told her to kick more aggressively while swimming, which is not a common technique used in women swimming. The summer before the start of freshman year at her high school, Stone Ridge School of the Sacred Heart, she killed the U.S Junior Championships, winning the the 400, 800, and 1,500 meter freestyle event. 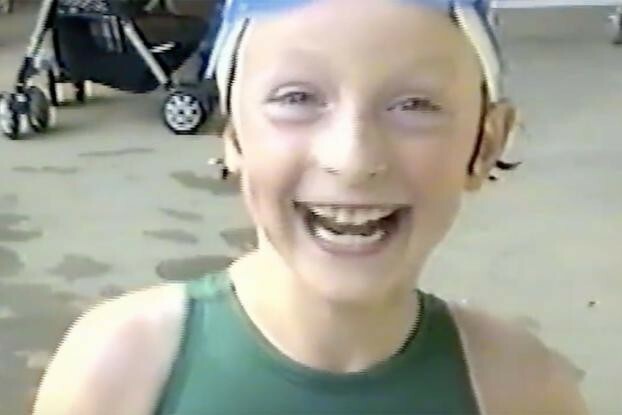 Katie Ledecky attended the 2012 London Summer Olympics Trials her senior year of high school. She entered in the 200,400, and 800 meter freestyles. She won in the 800 meter freestyles, and at age 15 she became the youngest member of team U.S.A. Throughout the Olympics she continued to excel in the 800 meter freestyle. In the swimming finals she finished in the record time of 8:14:63, which broke the American record of 23-year-old Janet Evans's. This win at the finals gained her gold medal. 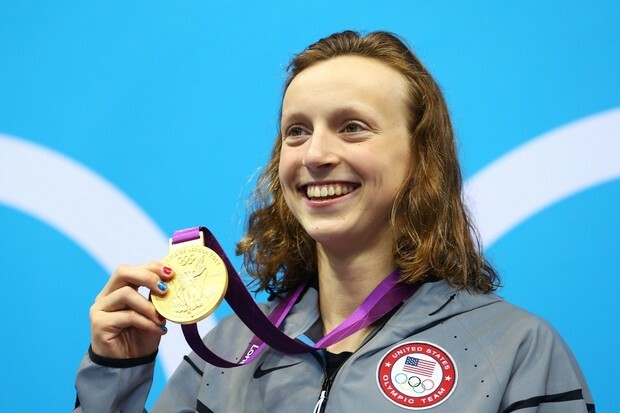 Katie Ledecky also attended the 2016 Rio Olympics. 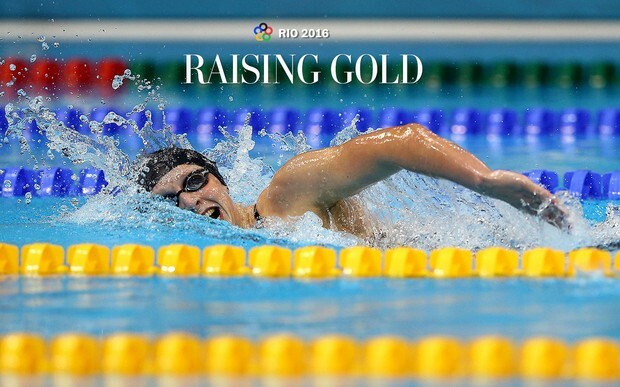 In her first individual even, the women's 400 meter freestyle,she won gold. She finished at at time that was two seconds better than her own world record, and four seconds more than her second place finisher. Throughout the Rio Olympics she helped her team U.S.A win silver in the Women's 4 by 100 meter freestyle relay, she won gold again in the 200-meter freestyle race, she continued to help team U.S.A by finishing first as the anchor in the 4 by 200 meter freestyle relay, and they won gold, and last but certainly not least she defended her 2012 Olympic world title in the 800 meter individual freestyle. She finished the race with the time of 8:04:79, smashing the world record and winning her a gold medal. Katie became the second women to win three individual freestyle events at a single Olympic game. 1. "How Katie Ledecky Became Better at Swimming than Anyone Is at Anything." Washington Post. The Washington Post, n.d. Web. 30 Aug. 2016. 2.Bio.com. A&E Networks Television, n.d. Web. 25 Aug. 2016. 3. "Katie Ledecky ." USA Swimming. N.p., n.d. Web. 24 Aug. 2016.